With the 2018 World Junior Championship less than three weeks away, participating nations have announced training camp rosters and five Terriers have heard their names called. Sophomores Jake Oettinger and Patrick Harper (photo) join freshman Brady Tkachuk in the Team USA camp. Oettinger and Harper played for the 2017 gold medal winners. Sophomore Dante Fabbro, a silver-medalist a year ago, returns to the Canadian roster. Freshman Kasper Kotkansalo is rostered for Finland. Team USA will hold its training camp in Columbus, Ohio, starting on Dec. 15 and will begin to whittle the 28-man camp roster down to 23. 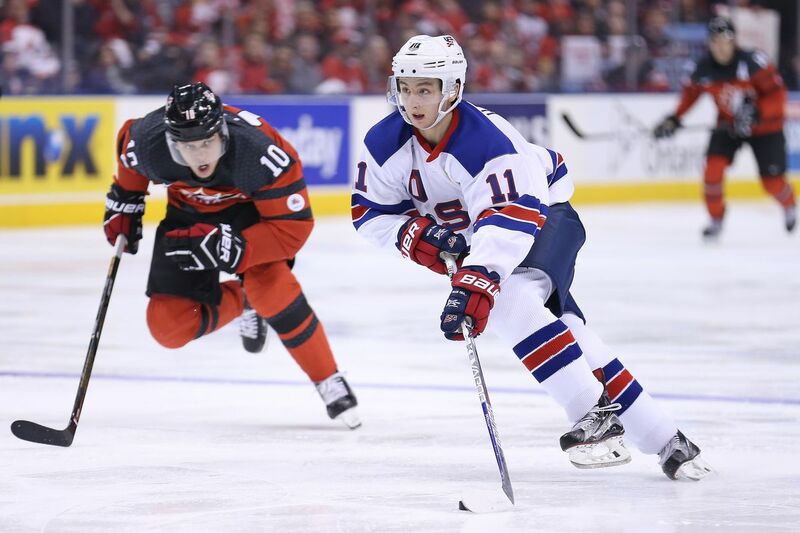 The tournament, set for Buffalo, begins on Dec. 26 with the gold-medal game on Jan. 5.